Charitable donations in the United States are at an all-time high. People all over the country are proud to support causes such as disaster relief, colleges and universities, and medical research and innovation. Still, many people are under the impression that only those who are financially well-off are in a position to donate. But that isn’t actually the case. With the right budget adjustments, almost anyone can set aside some money to donate to a worthy cause. So, just how can you do it? Keep reading to learn how to budget for charity donations this year. Even if you’re a financially responsible person, there are probably a few areas where you can cut back your spending a bit. Still paying for a monthly subscription, or even worse, a gym membership that you haven’t used in three months? Now might be the perfect time to cancel. 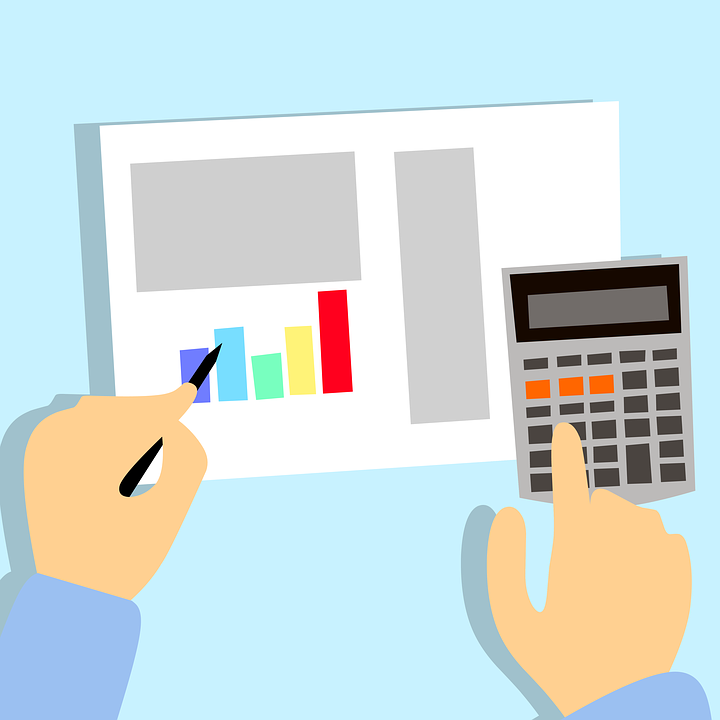 Although small monthly amounts may not seem like a big deal, when you add then up over the course of a year, the number is likely more substantial than you think. Life is unpredictable and you never know when you’ll have to spend money on a big purchase or repair. Although you may not be able to plan for everything, there are certain things you can do to help yourself stay ahead. For example, you may want to consider investing in home repair insurance so you won’t be stuck paying out of pocket if something major, like your AC, breaks. Enrolling in round-up savings programs is an easy way to add to your savings account without having to put aside too much of your paycheck. One of the key elements of knowing how to better spend each dollar you have is to understand how you’re currently spending your money. To do so, take a look at your bank statements from the past three months and categorize each payment: essential expenses (rent, mortgage, transportation, groceries, utilities, etc. ), personal choices (gifts, clothes, dinner at a restaurant, etc. ), debt (credit cards, student loans), and savings. This exercise will likely be eye-opening. You may be spending more on personal choices than you should be. You can create your budget based on your current spending habits. Writing this plan down creates a tangible and visual representation of your financial situation, giving you a clearer picture of where you can cut back and how much you’ll be able to donate. If the money you plan on donating is sitting in your checking account, it can be easy to accidentally spend it. Setting up a savings account just for the money you’d like to donate is the perfect solution. There are lots of free savings account options out there and many of them have very low balance minimums. When you find a cause you’re truly passionate about, setting aside some money to donate will feel like a privilege instead of a chore. When thinking of donating to charity, it’s important to take some time to think about what type of organization you’d like to give to. Whether you’d like to support an anti-bullying campaign or donate to a local shelter, there’s a good chance you’ll be able to find a cause you can stand behind. By following these tips, you can make your saving expression less stressful. Once you’ve successfully saved for one year, you’ll be even more excited to give in the future. When a loved one becomes ill, many people are affected. Family members may be unsure of how best to help, while children might not understand exactly what’s happening. For those who are coping with a loved one’s terminal illness, it can be extremely difficult to figure out how to start a conversation about what to expect or how to deal with all the feelings that come with it. No one wants their child to be in emotional pain, but it’s important to keep a regular dialogue open about the illness and allow your child to be involved in your loved one’s life. There are several things you can do to help your child cope during such a difficult time. From letting them visit and even care for your loved one to looking for a support group to help them sort out and possibly share their feelings, there are many ways you can help your child get through the illness of someone they love. Keep reading for tips on how to get started. It’s important to know what to expect, both from your loved one’s illness and from your child. Do some research on the illness to learn how it can affect someone, and understand that an individual who knows their diagnosis is terminal may begin to withdraw from friends and family. While this is normal, it can affect your family and leave your child with many questions. It can also help to understand how to talk to your loved one about their illness and how they’re feeling. Facing the terminal illness of a loved one can be confusing for young children. They may exhibit many different emotions, from fear to anger to sadness. Understanding the complicated nature of these feelings can allow you to help your child through this difficult time. It can be very helpful for your child to be involved in your loved one’s life and care. Even if it’s only in a limited way, assisting may help your little one feel useful and can give them an outlet for coping with the situation. You might ask your child to help you prepare a meal to take to your loved one or to make a visit and help clean their home. Think of the best ways you and your child can help your loved one during this time. It can be very helpful to focus on good memories, so get out some photos of your loved one, watch old home videos, and talk about fun times with your child. Allow them to sort out their feelings by talking them out, and let them know that it’s okay to feel whatever they’re feeling. Sometimes nostalgia can bring about a little sadness, and that’s okay; however, focusing on the good times will help your child see that your loved one has had a good life. Your child may benefit from having a professional to talk to, especially if their grief or sadness begins to affect them at school or keeps them from getting good sleep. Look for a therapist, counselor, or support group that can help, and attend with your child to help them get through this difficult time with support. Helping your child cope with such a difficult life experience can be hard on you, too, so it’s important to take care of your mental health during this time. 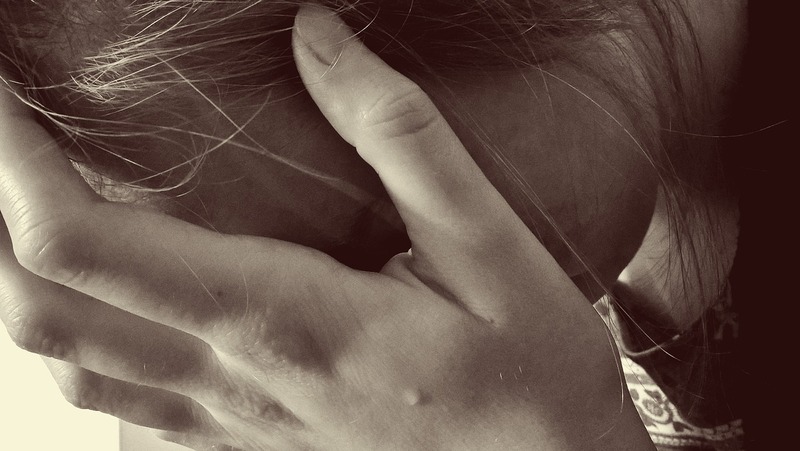 You may be experiencing grief as well, which can take a toll on you both mentally and physically. Talk to a professional if you feel you need help getting through it. Many kids with anxiety do not receive the care their condition requires. A whopping 80% of children with anxiety are not formally diagnosed, which makes it difficult for them to receive the treatment they need. If you suspect your child has anxiety, schedule an appointment with a pediatrician, psychologist, or psychiatrist for testing and treatment. The suggestions below may also help alleviate common symptoms associated with anxiety, regardless of whether your child has a chronic mental health condition or is temporarily concerned about a specific situation. Anxiety is generally not an unobtrusive condition. It occupies an affected child’s thoughts frequently, making it difficult to focus on schoolwork or accomplish daily commitments. In an effort to fend off feelings of fear or loneliness, many children turn to hobbies. Taking up a hobby can boost your child’s mood by giving them an enjoyable activity to concentrate on rather than dwelling on feelings of uneasiness. Hobbies give kids a sense of purpose, which is important because many children with anxiety struggle with low self esteem. You and your child can get additional ideas by browsing the craft section of a local retailer. There are physical and environmental factors that make a child likely to develop anxiety. Some experts believe that anxiety stems from inflammation in the body. If that theory is true, then exercising regularly may help decrease inflammation, thus reducing or eliminating the symptoms of anxiety. Before you encourage your child to start an exercise regimen, meet with his or her pediatrician to make sure it’s okay. If your child is usually not active, start with gentle, simple activities like walking or swimming before building up to more strenuous activities or sports. Yoga is another excellent option for kids with anxiety because it’s gentle yet effective and may help promote a calm state of mind. Some dogs are difficult to manage, so you may want to limit your child’s exposure to them. A dog who frequently bites people or runs away may cause more stress for your kid rather than helping them feel better. 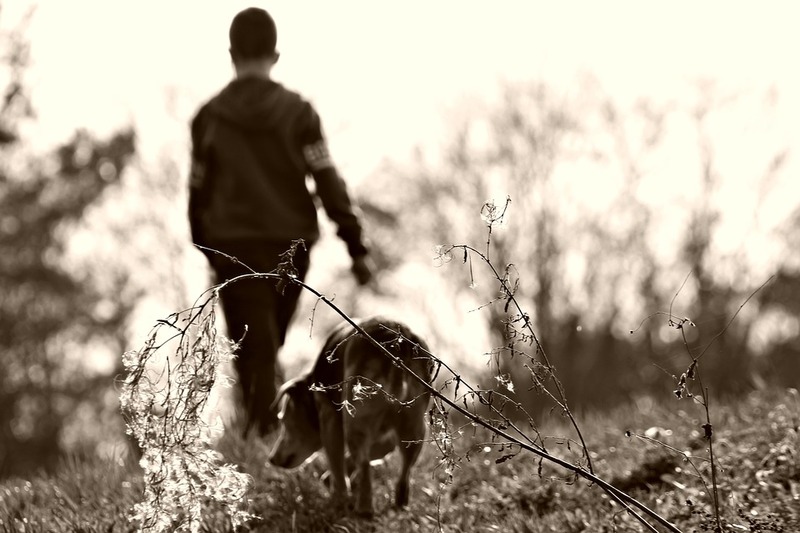 You may want to make sure that your child only walks dogs that are vaccinated against rabies or other common illnesses that affect dogs. Dogs can pass some canine illnesses on to humans. The same is true for many other animals, such as cats and birds. Meditation isn’t just for adults. When your child feels anxious, encourage them to sit down and meditate until they feel less worried. Close the curtains and turn off the TV, or put on some soothing music to help your child relax. Have them close their eyes and inhale through their nose, then exhale through their mouth. This should be done slowly and carefully. Your child can continue focusing on taking deep breaths, or you can ask them to picture something that makes them happy. Depending on their age, this may be a special toy or stuffed animal, a friend or family member, or a special location. Untreated anxiety can make it difficult for your child to handle homework, extracurricular activities, or outings with friends. 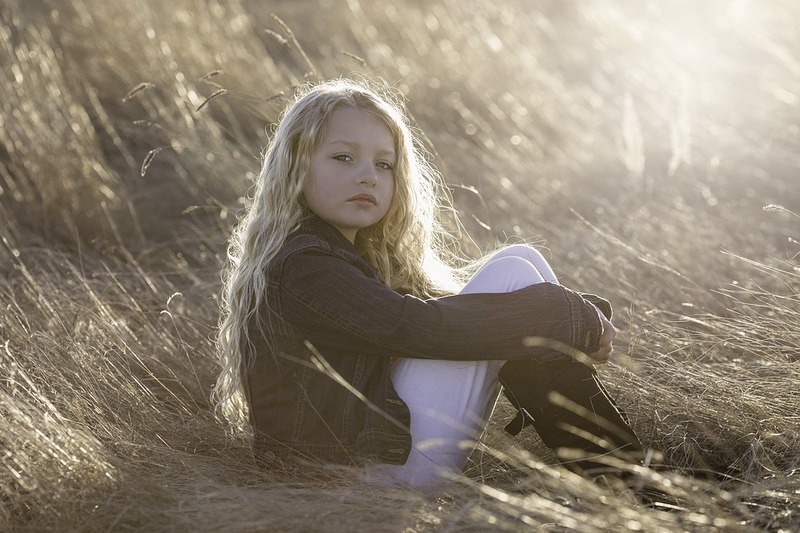 Encourage your child to manage anxiety with the helpful coping methods above. Between sleepovers, camp and family vacation, it’s not uncommon for kids to get off their regular sleep routine during the summer. But with the season coming to a close and school right around the corner, it’s important that you get them back into a healthy sleep routine. Along with making it easier to get up in the morning, other benefits derived from quality shut-eye for youngsters include increased attention span and learning ability (important when hitting the books), growth support, heart health, weight maintenance and a tougher immune system to help combat all those germs from other peers. Here are some ways to create a back-to-school sleep routine for before and after the first day of class. The best way to adjust your child’s schedule is by easing into it. Sleeping in is easy, but going against the clock is a lot more difficult. With that in mind, gradually set their bedtime back by a half an hour leading up to the first week of school. If you have less time to work with, then you may have to up the ante a bit. If necessary, use a reward system to help motivate your child to get up in the morning. Once school starts, create a homework routine that won’t interfere with bedtime. Since studies can sometimes be stressful, it’s not a good idea to schedule a time right before sleeping as it can make it more difficult to fall asleep. Rather, the two most popular possibilities are right after school when your kid is still in work mode, or right after dinner — some kids need a break before diving into homework, so let them choose what works for them. Eating dinner at the same time every night affects both the homework and sleeping schedules, so choose a time that makes sense — not too late and not too early so you don’t feel stressed coming in the door after work. While there will be some days where everyone’s schedules clash, do make an effort to have dinner as a family on a regular basis. Research suggests family dinners improve relationships, promote healthier food choices, lead to better grades, increase happiness and relieve stress. Should your child have a hankering for something before bed, don’t hold back as it can make it difficult for them to sleep. However, choose a small snack that’s high in protein and fiber such as hummus, eggs, berries, Greek yogurt, and unsweetened cereal. Avoid sugary sweets and caffeine as that will only make them wired. Regardless of age, a bedroom should be a place of peace so that it’s easier to fall asleep at night. Start by decluttering — or having your child clean his/her room providing they’re old enough to do so. Not to mention, experts believe that clutter causes kids to become stressed, depressed and teaches them poor habits for the future. A quality mattress is another a crucial component to good sleep. 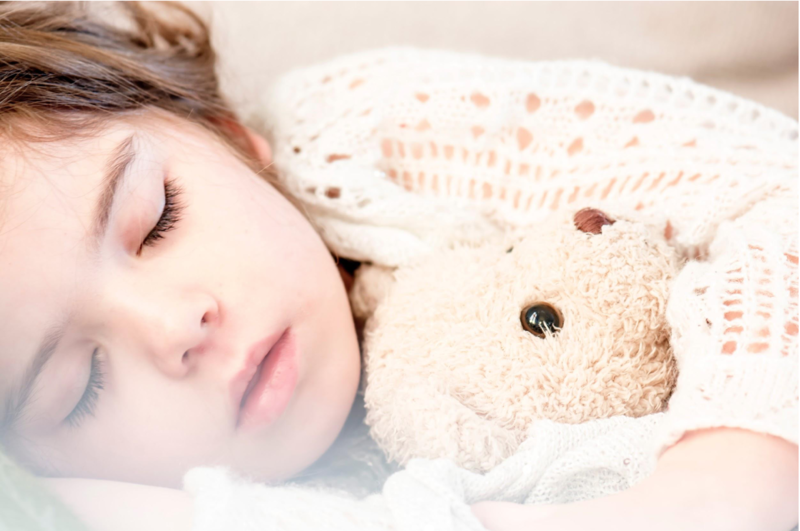 An old, worn out mattress can negatively affect your child’s rest. Mattresses older than five years will start showing their age by sagging and losing their shape. A new mattress with proper support doesn’t have to break the bank; just be sure to carefully read through mattress reviews for a model that won’t give you sticker shock. The earlier you can get your child into the back-to-school mode, the better it is for both of you. If you fell behind this year, no worries — simply take note for next summer. After all, getting quality sleep is a year-round concern that’s part of an entire routine, so make sure you’re also addressing meal and homework times so that your kid feels grounded. Trouble fitting in, issues with self-confidence, hours of homework, pending career choices. All of this combined with the pressures of social media and many teens are running for cover. Is it any wonder anxiety rates among teens are on the rise? Increasingly, today’s teens are over scheduled, over burdened, and overly unhappy. Imagine this scenario: They arise (usually before the sun) to tackle a full day of learning, then they’re off to an extracurricular activity, followed by required service hours, then home for a few hours of homework, a quick dinner followed by some college research, and then finally bed. With all of this, there’s no time left for anything remotely resembling relaxation. If you’re a teen or the parent of a teen whose anxiety is on the rise, make some time to incorporate these tips to improve well-being and manage stress. Implementing yoga or Tai-chi exercises into a weekly routine can greatly diminish overwhelming stress. According to Harvard Medical School, yoga stabilizes the body’s stress response systems. These systems include heart rate, blood pressure, and breathing, all of which correlate to stress levels. These exercises also work to help participants gain control over their mind-body connection through relaxation. These techniques can also transition to real-life stress triggers, providing valuable healthy responses to counteract emotional breakdowns or outbursts and other unhealthy coping symptoms. Teens and young adults are notorious for staying up late and missing sleep. And all that missed sleep leads to trouble. Research has found a direct correlation between lack of sleep and anxiety disorders. Not to mention that lack of sleep weakens your immune system, causes weight gain and raises your blood pressure. Having a social life is critical for a teen’s mental health. Studies like one conducted at Warwick Medical School in England, have found that having friends decreases the probability for depression by 50% in teens. Friends provide a valuable outlet for communicating and managing any stressors that may lead to depression. Teens without a strong social network should considering joining academic clubs, sports teams, or other social organizations. Schools often have events to promote groups at the beginning of every academic year; if you missed that, consult your school’s guidance counselor. Both parents and children should talk through all of the feelings associated with the move. Keeping the lines of communication open to share positive feelings and feelings of concern will smooth out the transition. Establish a good form of communication with your social network before moving. You don’t have to abandon friends when you move. Today’s advanced technologies like Skype and Instagram provide plenty of opportunities to stay in touch. Also, consider setting a reunion date before you move so you’ll something to look forward to. Making new friends is important. Find ways to socialize at church, at school, and through taking up any old hobbies like dance classes in your new hometown. Sometimes stress rises above the normal level of anxiety to a clinical level that requires proper treatment. If you’re seeing these warning signs, it’s important to seek counseling. It’s important to realize anxiety isn’t unique. In fact, nearly 20% of Americans are dealing with anxiety. That’s why parents and teens should use this time to actively pursue open lines of communication while developing an action plan to manage stress and anxiety. These difficult emotions don’t have to determine your day or your life and you can take control. Be there for one another and be patient. Most of all, remember that out of every dark spot comes incredible light. first step in ensuring that they will be successful not only in warding off grade-school bullies, but in life. These days, kids are using increasingly ubiquitous technology more than ever. The Guardian reports that 72% of children under the age of eight have used a mobile device, and even 38% of children under the age of two have used one. Those are astounding figures, and the all-consuming nature which technology tends to take on has contributed to a steady decline in daily reading as children progress into their teenage years. Unfortunately, this reliance on technology, and phones specifically, as a centerpiece in daily life has resulted in young people putting far too much stock in the perceptions created by social media such as Twitter, Instagram, Snapchat, Facebook, and YouTube. Instagram in particular has been found to have the most profoundly negative effect on young people’s mental health, according to CNN. If negative experiences on social media persist, a young person may display behavioral changes that parents should be keen to. Depression and anxiety can persist long-beyond the years in which a person is constantly bullied, often affecting their outlook into adulthood. According to Masters in Psychology Guide, those who are bullied often tend to have trust issues, are often loners in adulthood, and may make more harmful choices as they feel less in control of their own happiness. If a child is displaying signs and symptoms of depression and/or anxiety, it must be considered that they are being victimized by a bully, which these days more often than not means the online form of torment. The first step in being able to assist your child if they are combating persistent bullying is to foster strong communication within the home. A child who has good communication skills – which are most often formed in the home – will gain several benefits which will help them throughout school and beyond. Chief among them are a more impressive personality, stronger bonds with friends and family, and speaking convincingly while controlling their body language. These traits are all representative of strength and confidence, two personality characteristics that bullies actively avoid when choosing victims. However, bullying can happen to anybody, and parents should also form strong communication modes so that, if their child is bullied, that child will be more likely to speak to their parents about the problem. It must be made clear to the child that bullying, even in its least over forms, must not be tolerated. Microaggressions, including microinsults, microassaults, and microinvalidation, while somewhat difficult to define, constitute ways in which bullies insidiously erode their victims’ confidence and sense of comfort inside and outside of school. Parents must ask their child what exactly the bully has been doing to victimize their child, responding by urging their child to utilize their communication skills in responding maturely yet forcefully. Parents should also consider calling a suspected bully’s parents in order to inform them of the problem, and bringing the issue to the attention of school administrators as a next step toward a resolution. Parenting is fraught with peril and difficult decisions. The line between coddling or micromanaging a child’s life and being vigilant to their issues and needs is a fine one. When it comes to preventing bullying toward your child, the best tool is instilling strong communication skills which lessen their chances of being victimized. If a problem does arise, parents must talk honestly with their child about how to stand up to bullies nonviolently, and if that does not work, approach the bully’s parents and/or school administrators for a more authoritative solution. I believe there are not enough influential people in the world who’re leading by example when it comes to helping others in need. It could be because the influencers that are making the biggest differences don’t like to publicize what they do or maybe it’s because not enough influencers are making a difference. I am not here to tell people what they should and shouldn’t do to help those in need or how they should spend their free time. I am writing this blog because I would like to see more influencers leading by example and showing others how they really are making a difference. I want to see the media shed more light on people doing positive things and I want more influencers to use their influence to promote that power of helping others and why it is important. You might be curious why this is something I care about, or why I am so passionate about it. The reason I am so passionate about this is because I have always been one to look for mentors and look up to others who’re where I want to be in life. As the years go on there seems to be a lack of mentors who are helping those in need and leading by example, and I want that to change. Dave Meltzer is that influencer who is being part of the change. Being named a top motivational speaker by Forbes and Entrepreneur, Dave uses his influence to spread positivity and making a difference and is an award-winning humanitarian because of it. In my opinion, more influencers need to learn from Dave Meltzer and start using their influence to spread the message of making a difference to their audience. When more influencers like Dave start to step up to the plate and use their influence to help others in need, our World will become a much better place. In the interview below, listen to what Dave Meltzer has to say about why he chooses to help those in need. Through the interview you will see why Dave Meltzer is an influencer who is leading by example and why he contributes his success and happiness to helping others in need. Chris Paulino – I thank you for being apart of this interview here. One of the big things I wanted to talk to you about is, I have met a lot of people, and me personally I believe that helping others in need, the universe and things will give back to you when you help other people in need. I think there is a lot of influential people out there that maybe don’t do enough; or at least in my opinion don’t do enough to help other people in need. When I came across you, I seen that you really use that as a way to better yourself and as a way to make your self happy, I guess, and I am curious why do you think its important to help people in need and why do you think some people choose to not help others maybe as much as they should? Dave Meltzer – You know, I think its a simple shift in the paradigm in value, and it took me years to understand this paradigm. A lot of people have scarce energy and they don’t grow up with everything that they want. As you know, I grew up in a poor part of Akron Ohio with a single mom and 6 kids, and I always felt like I needed to go out and get what I wanted. I always wanted to help people, but I wanted to get what I wanted and through building extraordinary wealth and then losing it. I started realizing, what if instead of trying to get my own from taking from people. Selling them, over selling them, back-end selling them, or even lying to them to get what I wanted. I would have a void to fill when I did that, meaning I made promises and I would have to keep them, and I realized that I was human. Even with good intentions I had difficulty filling that void of what I promised to do to take the value from them. So, when I learned to shift the value to just being of service and helping other people. I started realizing that if all I did was add service to other people and provide as much value as I can, and I’m not saying sit around, I am saying work even harder for others and provide out value for others. That a void was created on the side of the universe, and unlike me, the universe was extremely effective, efficient, and specifically successful. I created this void by giving and by being of service that the universe would fulfill, and when the universe fulfilled it everything I desired came to me rapidly and accurately because I was giving to others and being of service. I naturally think through the physics of the universe, provided not only more value to others but more value to myself. Chris Paulino – Absolutely, and one thing that sticks out in my mind is I heard a quote that says,”If you help enough people get where they want to go, you’ll always get where you want to go.” That kind of sticks out to me with you because I have been researching and looking at all the different things you do and all the different talks and you kind of really push that as fill that void and help other people and some of those things will kind of come in to your life. What are some of the ways you’re giving back right now using your influence and the stuff you’ve learned to help other people that maybe are where you were at and I guess maybe fill that void and maybe start helping other people? Dave Meltzer – No doubt, and I think a lot has to do with the idea of surrounding yourself with the right people and the right ideas. I’ve kind of coined the term, that I’m not really even a philanthropist, I am a “philanthropimp” because not only am I of service but I pimp out the biggest celebrities and athletes in the world to help facilitate and bring even more people and more ideas by elevating the brand profile and awareness of that charity, purpose, or cause, to help even more people. The giving is infectious, its viral, and its not just being of service myself, but attracting others who have influence to attract even more people to help others. Chris Paulino – Ya, and as I said in the beginning of this. I think there are a lot of influential people out there that maybe don’t help us much as I would like to see them help or maybe the do help but sometimes they don’t get the publicity from it or whatever the case is, so maybe they’re doing a lot that the public doesn’t see. I think that part of it would be better if more influential people would come out and actually help in public and showing people because you know, a lot of people like me, we look up to big business people and people like you to kind of help guide us, and we look for mentorship. Sometimes, I think if some of those more influential people would be more publicly when they’re helping people, or speak about it more that it might infect more people to want to do that. Is that somewhat why you spread your message online so much? Dave Meltzer – Absolutely, and I think I can be utilized as a vehicle to help promote the good that all these athletes and celebrities are doing. Ill give you an example right in your back yard, the Pro Football Hall Of Fame is something we’ve worked with in the marketing, and work very closely with. My business partner, Warren Moon is on the board in the marketing, and on the board for the Professional Football Hall Of Fame. Warren himself probably volunteers over 300 days, 300 days of the 365 days are given to other people. Every single one of those days, 300, over 300 of the 365 days are in service of helping other people and not doing it for himself. For these people that are extremely successful, they feel that to self promote that would be almost detrimental to what they’re doing because they’ve already achieved their fame and they’re not doing it for themselves. They’re truly doing it to be of service, and I can’t think of a more generous or giving group then that Professional Football Hall Of Famers. They give hundreds of days of their time, for free, and these are the guys that can charge $30,000 – $50,000 an appearance. That get paid hundreds, above thousands of dollars for a signature and yet they’re out there at schools and Boys and Girls clubs and all over the place. I know Andre Reed is another guy who works with the Boys and Girls clubs and gives hundreds of days, not a few days, I’m talking hundreds of days he serves these causes and purposes. I decided that instead of being an agent for just money, I could be an agent for cause and purpose and social change and I can help facilitate raising the brand awareness and profile of the causes, purposes, and issues that these great athletes and celebrities are supporting instead of trying to raise money for those athletes and celebrities. Chris Paulino – As I said I think that the universe gives you back double whenever you help and whenever you help people in need. Maybe that is part of your story in your success, because I know that you created a lot of success before that paradigm shift in your life, where you were chasing money and you were chasing those things that kind of filled a void in your life and then you started to give back to other people in need. From what I’ve learned from you is that it was kind of a big shift in your life to where you realized that everything wasn’t really just about money, that it was about helping others, being a mentor, being a coach, being a speaker and kind of sharing your story so that other people that can connect with that story or are in the same spot might go out there and make a difference. I think as you said, one of the big things, as you said Warren Moon helps a lot of people, 300 plus days in a year, I mean a lot of people would think that’s insane to spend 300 days volunteering for others. Like you said, he doesn’t really want promotion or anything like that because its almost detrimental to the image of what they’re trying to do because they’re not doing it for publicity or extra money, they’re doing it because they want to serve others. I guess that’s part of the reason they don’t go out and publicize it is because they don’t want that mixture of publicity where are you doing this to get more views, or are you doing this for the right reasons? I guess, what is that sweet spot when it comes to being able to show people that you’re out there helping others in need, where it’s not too much where people are looking at you as someone that is just trying to gain publicity from helping those that are in need. Dave Meltzer – I think as long as they keep the focus on the focused cause or charity, and I think Warren as well as others has done an exceptional job of doing that. Where you know, they maybe in the background and they’re obviously contributing and volunteering and utilizing their brand and likeness attached to the cause, but what they do so well is utilize their celebrity and influence to promote the cause instead of their own brand. I think that is almost an anomaly of why some of the negative overtures exists within sports and entertainment. If these guys promote exponentially that Ray Lewis made his mistake, or Tiger Woods made his mistake. That is everywhere on ESPN but it doesn’t have the news worthy attraction or the social influence to put up there that Warren Moon made an appearance for Police 2 Peace today, and you have some people like, “Ok”, you know what I mean? Where these guys can really make the difference is to keep on promoting the causes and when Warren Moon shows up for Craftsman First, or Police 2 Peace, or the Crescent Moon Foundation Scholarship Fund or whatever he shows up for. Then all the wealthy people come to see Warren Moon and he makes an ask for those causes. That is really where the change occurs, you know Warren Moon doesn’t need to promote Warren Moon. He needs wealthy people and big corporations to come to his events for these causes to give money so that kids and go to college and so that cancer can be cured so that kids can have a place to play after school and so that we can reduce crime and create equality, all of the things that Warren Moon and myself work for. We use our celebrity, our influence and our platform to promote the profile of these brands so that these guys get these unbelievable experiences and say,” Oh my goodness man, I went to the Joe Namath golf tournament for the March of Dimes and it was Warren Moon, and John Randall” and the list goes on and on, and all these other corporate guys go, “I want to go next year, and it’s $5,000 a golf tournament per player but it all goes to the March of Dimes” and they say, “Oh, I love the March of Dimes!” All of a sudden it creates momentum not for the celebrities but for the kids who need the money from the March of Dimes. Chris Paulino – Absolutely, and you bring up a very good point that all over ESPN you’ll see the Tiger Woods mistakes and the Ray Lewis mistakes and all these negative things. Obviously they throw sports in there, but you would think that someone like Warren Moon who has such a presence in Football and what he has done for the sport. You would think they would shed some light on some of the different ways that these athletes are helping people in need and I guess my questions is, why do you think the media or ESPN or some of these things that have such a powerful channel of influence, kind of ignore some of that philanthropy and pushing some of those things that will help people in need as opposed to spreading some of that negativity and some of that stuff that sells. Dave Meltzer – It’s just the economic model of tv and advertising. It’s that they need eyeballs and they need headlines and they need sizzle. So they paint a really ugly picture of Tiger Woods after he’s been arrested for a drunk DUI because he was on pills or whatever. The true story is it never really comes out because that story is buried and then the media goes in a different direction. I have not seen one sizzle reel on how much money the Tiger Woods Foundation has raised for kids and the influence of Tiger Woods in both creating equality for races in golf and sexism in golf, and Tiger Woods has done so much for golf. If he made this mistake for driving under the influence he should be penalized, just as if one of us has done the same thing. He should be penalized, he should go through our justice system and have to do community service, lose his driver license, go to jail, you know whatever that is. That doesn’t mean that Tiger Woods is as bad as they say he is, but in order to get the most meat on the bones for these media outlets. They have to villanize Tiger Woods, and they have to put a villain picture of Tiger Woods up there and they have to create a villain story of Tiger Woods and make sure that the sizzle in the media and the content is there so that more people see the breaking news ticker on the bottom so they tune in to ESPN or whatever to watch the rest of the story. If they put up there as a sizzle, “the Tiger Woods Foundation has raised over 100 million dollars for kids,” nobody is going to tune in to see the rest of the story. Chris Paulino – I agree, and to me that personally being a young millennial. I am somebody that has always thought of helping others in need and I’ve always wanted to see more in the media of people helping. Like you said, I am sure the Tiger Woods Foundation, has helped more people then it has hurt in and Tiger Woods is an exceptional person in gold and an exceptional human being and we all make mistakes. I think one of the things that might hurt us in the media is everyone wants to be so politically correct. That I guess we never learn from it, you know, if we were able to hear Tiger Woods story and how he helps people in need and how that changed his life and what he did to maybe get back from something like that. I think, a lot of the kids out there that look up to Tiger, who now maybe see a negative connotation on him because of everything thats been pushed on him, but they never really learn that struggle and that hardship and like you say, that humility that he had to go through to get to where he is now or to get through that hardship. I think it would help more people out there, but instead everybody wants to focus on the negative. Thats why I asked you earlier why some celebrities might now show publicly that they help people in need as much as I think they maybe should because theres a lot of people like me that look up to them that if they seen these real life experiences that these athletes and these people we look up to go through. It might help us more on a personal level then just seeing the fluff and the politically correct people on TV and never really seeing the hardships that anybody goes through. Dave Meltzer – You know the interesting thing that I’ve learned, that may help you out, is that I have a philosophy of creating a conversation. One of the techniques utilized in marketing to raise awareness for charitable causes and purposes, is to utilize more of the sizzle to create the conversation, and then utilize the content of the goodness in order to support the conversation. You can utilize a negative story about Tiger Woods to raise the awareness of an issue, right, the dangers of getting a DUI, but also to raise the awareness of the good parts about Tiger Woods. If I was building a story to create and support the economic nature of our media. What I would do is go ahead and utilize the truth, which is Tiger Woods was arrested on a DUI, and I would utilize any pictures that I had whether its are flattering or not. Then when I drew the people into the story, I would give both sides of it. I would say look, Tiger Woods is distraught, and the reason he is distraught is because he has done so much for so many people. Then show statistics on how women viewership and attraction to golf had gone up 250% when Tiger Woods was playing. That Tiger Woods between men and women was the most recognizable and more African Americans were playing golf, 1000% more African Americans were playing golf. That he raised over 100 Millions Dollars for charity, and like all of us, he is prone to make mistakes. Lets look into why Tiger Woods has been driven to utilizing pills and alcohol and making a bad judgment of utilizing pills and alcohol before he gets behind the wheel, but what caused this right? Yet, not diminish the cause, in fact you can raise awareness in the cause and generosity while you’re still reporting the negative aspects of being human. You also can bring things in like gratitude, you can bring in empathy of forgiveness, you can also talk about accountability, but the area that we fall down on and these are my 4 principles right: Gratitude, Empathy, Accountably, and the last one is Effective Communication. We’re not effectively communicating that which inspires us, that which connects us to goodness. We’re not effectively communicating what people need to hear, which is there is a good and bad to everything and we should use some of the negative things that happen to create more good. That is raising the awareness, creating a conversation, while you’re still creating news that companies will advertise and pay money to your channel. Which creates more abundance and helps even more people. Chris Paulino – Wow, that is definitely a strong point of view and as you said you kind of reel them in with the negative and show them both sides of the story and make it open and honest and let them learn from it. Provide stats that show, “hey he did this” but also, “African American golfers are up 1000%, more women being noticed in golf, raising over 100 Million for people in need.” Maybe that can show that some of the people out there that look at him in a negative connotation that, wow, this dude really does help people in need. I think that a lot of people see that Tiger Woods story, and we all like to see a triumphant story. Someone goes through the ditches and the dirt and their name is crashed and then all of a sudden they kind of raise from the fire and now they’re a better person and they’re helping more people or whatever the case is. I think that if we started to see more people like that in the media or portrayed that way that it might help raise awareness for helping people in need. Like I have been telling you, I like everything you do. That is one of the reasons I wanted to reach out to you for this quick interview because you know I read and I look around and I have said in my own life, “Man, I wish more people that had influence would help spread the world and help others in need,” and as I was searching around the internet. You were probably the biggest name out there that pushes to help people and be a humanitarian, philanthropist type style and that is one of the reasons that made me want to gravitate towards you and reach out and start this conversation. Like I said I don’t see a lot of people out there that are pushing that, “help people in need,” while getting your own goals. I like that about your branding and your own personal goals and what you got going for you. Dave Meltzer – Absolutely, you nailed it. Its all about if you change the way you look at things, the things you look at change and you have to look at what resources we have to be of service. When you shift that paradigm, the universe will provide, just to finish up this great interview. I think it’s important, one of the things you said is in the middle, “When we give we get twice as much back.”I’ve heard people tell me, “When I give I get 10 times as much back.” The interesting thing about the universe if you look at it in a technological sense, in a mathematical sense, is that the more you give; you can not get more then you give. The reason it feels like so much more when we’re receiving, is because the universe is so efficient, effective, and specifically successful. That it feels, because it comes so rapidly and accurately. When it comes so rapidly and accurately back to us, it feels like we’re getting so much more then we gave. The other component of that is, it feels so much better to give than to receive, and just because it feels so easy, and feels so good to give, we feel like when we’re receiving that we’re receiving so much more than we give. That is truly why people say we get more than we give. If I could express to everyone, one simple statement that allows you to have everything you want in life and in business, it’s simply, “be of service by being kind.” Two words change this whole world. If everybody in the world was kind, everybody would have everything they wanted. You would have no death, disease, and destruction. Everything is cured by kindness. If you looked upon everything with kindness and of how to be of service of every single person you met you were kind to, if every single situation you met you were kind to; kindness is the most extraordinary thing that can change lives.